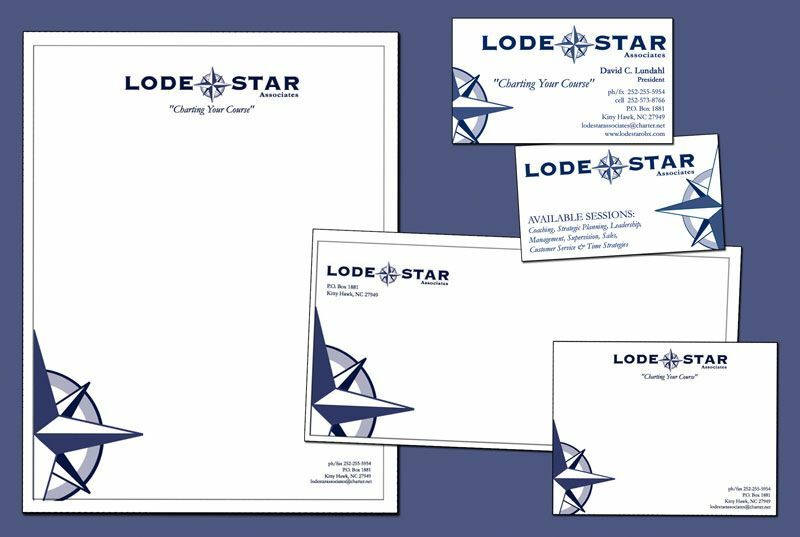 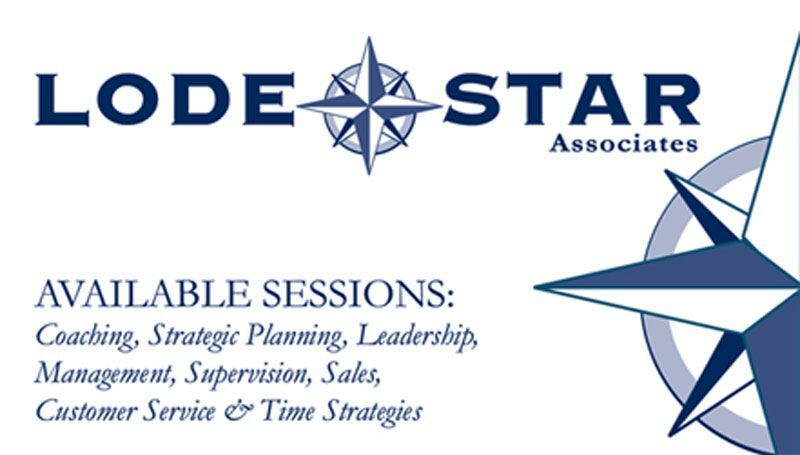 A stationery set developed for Lodestar Associates consisting of letterhead, envelope, mailing label and business cards. All four pieces carry the logo and branding in a professional presentation. 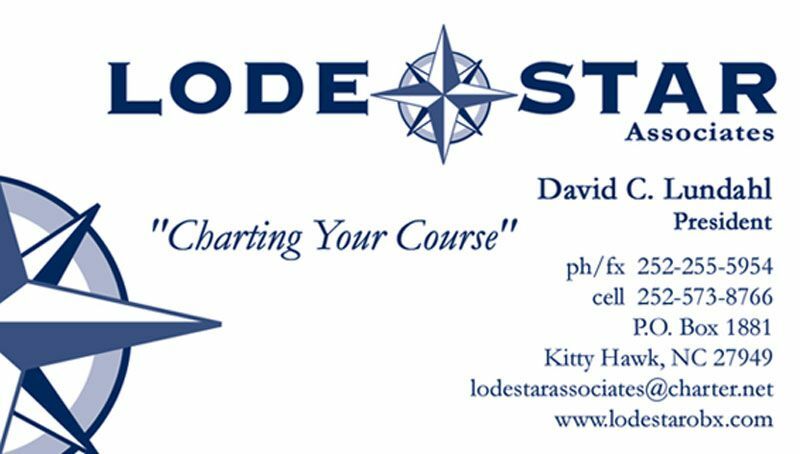 The business card is double sided with a list of services on the flip side.